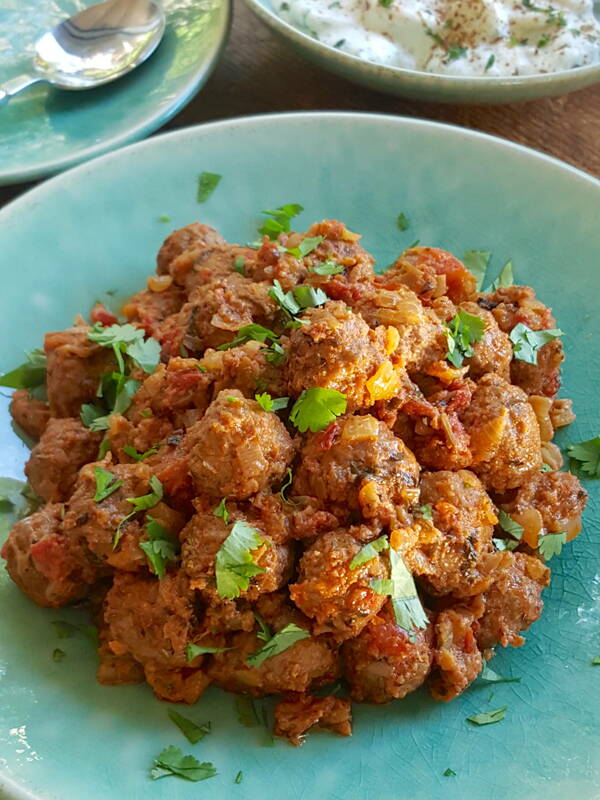 These tiny meatballs have got a gentle kick but you can still taste all the spices, but if you are not keen on chomping on a whole clove (I’m certainly not! ), pick them out before serving. 1 Using your hands, mix all ingredients together in a large bowl (I recommend wearing disposable food gloves). Shape into 40 small meatballs approximately the size of a walnut, keeping your hands dipped in water to prevent the mixture from sticking. Put balls on a plate as they are rolled. This can be done several hours ahead. 1 Put garlic and ginger in a small spice blender or in the bowl of a mini food processor with 2-3 tablespoons of the measured water and blend to a paste. 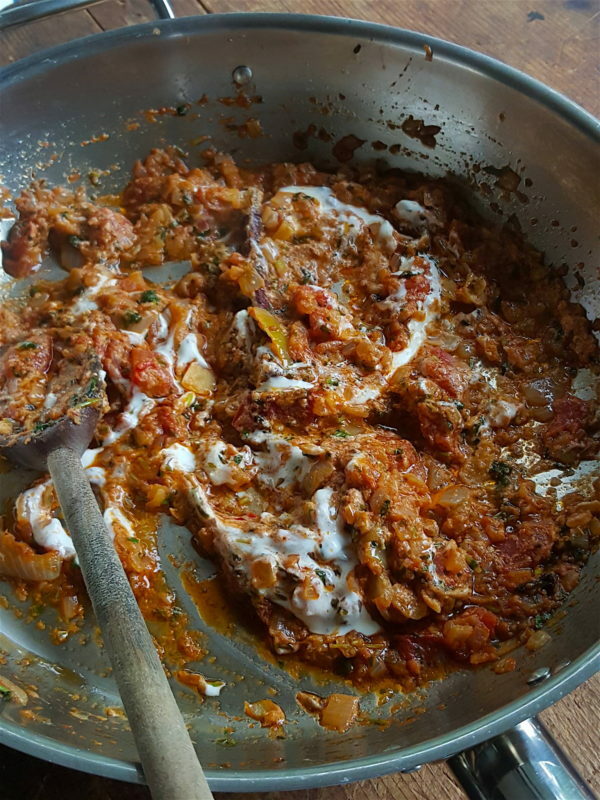 Transfer paste to a small bowl and mix in chilli, cumin and ground coriander. 2 Put oil in a large frying pan over a medium heat. When the oil is hot, add cinnamon stick, cardamom seeds and whole cloves. Fry spices for a few minutes, then add onion and continue frying for 5 minutes, until lightly browned. Stir in the paste, cook a minute, then add tomatoes, coriander and cook gently for 10 minutes. 3 Stir in the yoghurt a little at a time, then 200ml of water. Stir in yoghurt a tablespoon at a time. 4 Add meatballs and cook, partially covered with a lid, for 15 minutes, turning balls over every 5 minutes or so. Remove lid, transfer kofta balls to a side plate with a slotted spoon. Continue reducing the sauce until it is thick and oily. Return kofta balls to pan and cook for a few minutes more, until piping hot and covered with sauce. Serve hot garnished with a little chopped coriander. Sweet pineapple sage – it truly does taste of pineapple!